CLEBURNE, Texas — At 148 years, Cleburne is one of the oldest cities in Texas, and a small flower shop downtown has been around for nearly all of it. "102 years," said John Patrick, owner of Patrick's Cleburne Floral. Patrick says flowers are practically in his DNA. Way back in 1917, his grandparents planted roots, then his mom and dad took over and watched it grow, and since 1977, John has made sure business is blooming. "So about 41 years," he said. Whether the old cash register or the 90-year-old cooler, which John still uses, few places in Cleburne have this much history. John's grandpa was a founding member of the Cleburne chamber of commerce in 1919. Today, John's daughter is the fourth generation of Patricks to work in the store. Unfortunately, neither flowers nor flower shops last forever, which is why a few weeks ago John made the decision that after 102 years the doors would be closing. 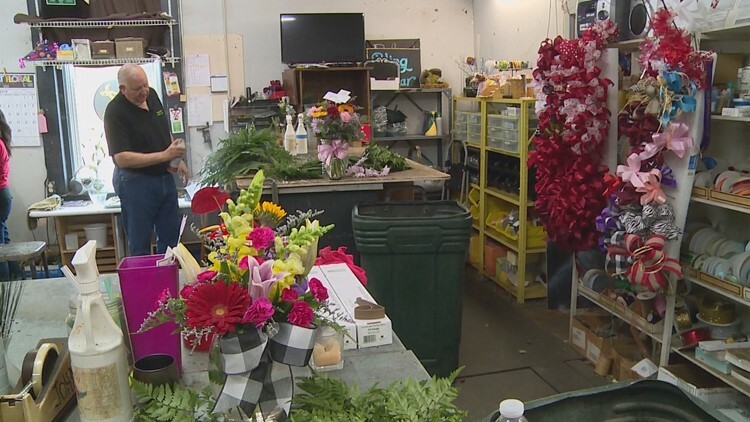 Patrick's Cleburne Floral will close its doors after Valentine's Day. "It's never easy when you've been doing something 41 years," John said, fighting back tears. The decision has been so heart-wrenching, it took John nearly 10 minutes to express how he felt. "We try to do things from the heart," an emotional John said. So, with a tear in his eye John shared the news on Facebook and to his surprise, the messages began pouring in. From all over the state, people said this store was less of a flower shop and more like family. But, John says, what's really blown him away are the people who have offered to buy the business and keep it alive. "If it continues, that'll make me happy," he said. For more than a century, his family thought it was simply selling flowers but they've clearly grown something beautiful.